This post on peacock kitchen accessories is a continuation from my previous post on peacock theme kitchen decor ideas where we saw very beautiful peacock dinner plates, peacock tea cups, coffee cups etc. 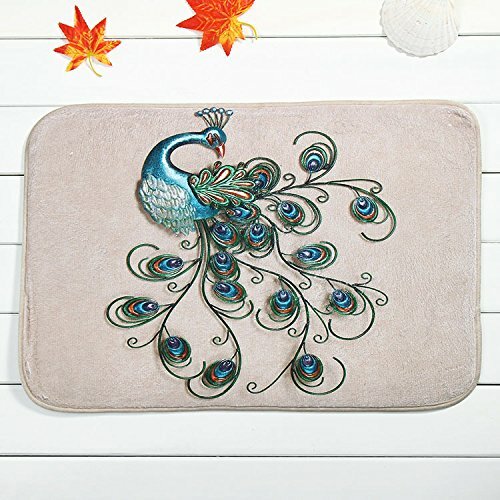 There are many more to peacock kitchen accessories to decorate your kitchen in beautiful, elegant and royal peacock theme. The first one I want to discuss is the kitchen curtains also known as cafe curtains which are designed in beautiful peacock themed prints and patterns. You can use the kitchen curtains or cafe curtains (which looks quite different from the curtains used in living room or bedroom) in your kitchen windows. 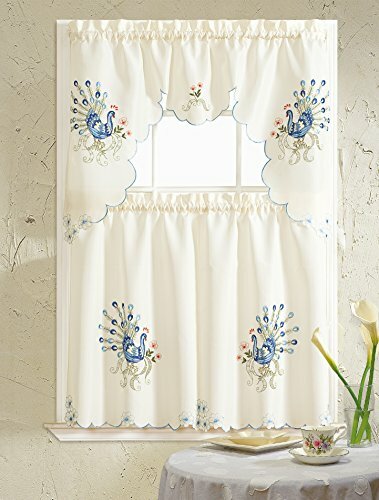 You can use kitchen curtains with peacock pictures or peacock feather prints or patterns like this one. 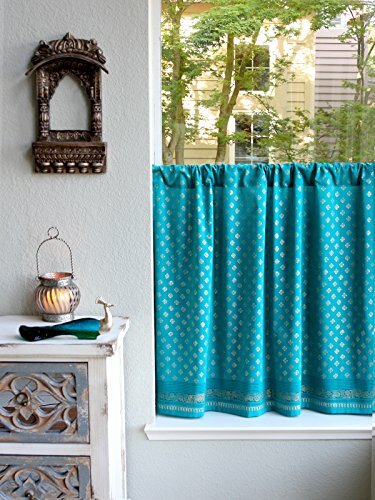 Instead of using peacock pictures or prints, you can choose kitchen curtains designed in pretty peacock blue colored backgrounds, like the one you see below. 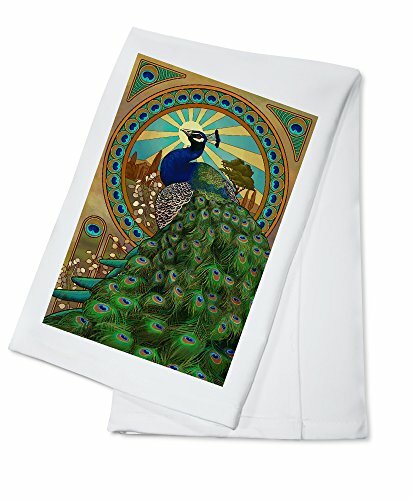 You can also find elegant and beautiful peacock theme kitchen towels for your kitchen, printed with peacock feather designs, prints or patterns in green or blue. 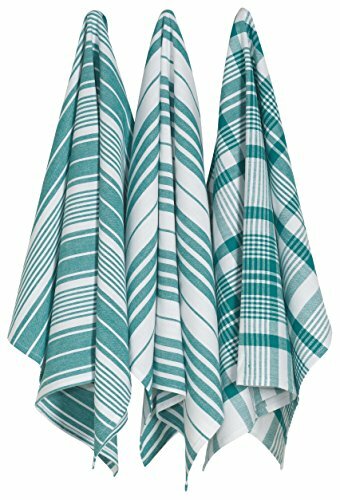 You may choose blue or green colored kitchen towels with peacock prints or you can use a mix of both theses colors. Green and blue are matching colors with great contrast, and a combination of these colors look great in kitchen, living room and bedroom. 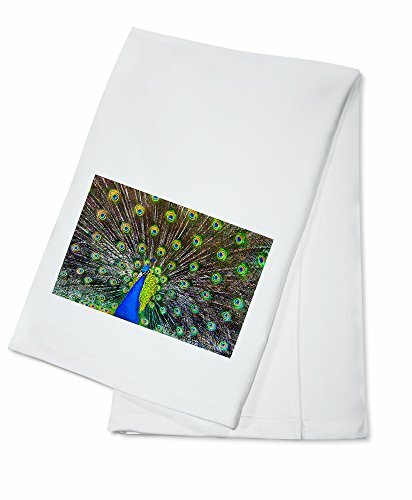 Some of these kitchen towels comes in peacock pictures or feather prints and patterns while some of these come in solid peacock blue or green shades which matches with the peacock theme of kitchen. 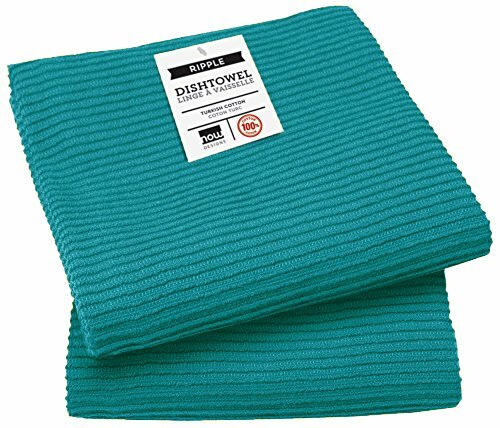 Most of the floor mats for kitchen are made non slip and most of these are designed to be used in either kitchen or bathroom. 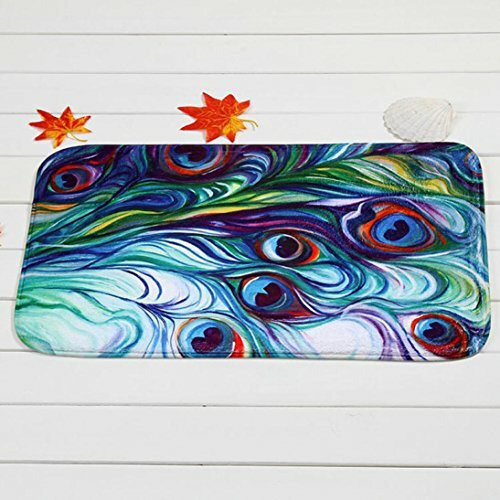 Here too, you can choose the floor mats to be designed with pretty peacock pictures or feather patterns and prints or you can choose the floor mats made in solid peacock blue or peacock green colors which matches with the peacock theme of your kitchen. 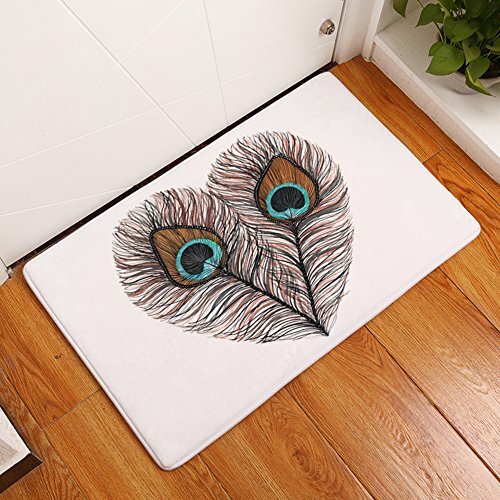 So let us see some of the best peacock themed floor mats which are great to be used for kitchen decor. 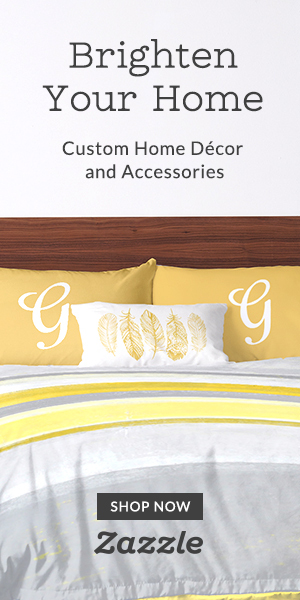 Hope you found this post on peacock kitchen accessories for peacock theme kitchen helpful. Be sure to check my posts on peacock kitchen decor ideas for more kitchen decoration ideas, peacock wall art decor ideas which you can use to decorate the kitchen walls, my detailed posts on peacock metallic wall art ideas and also peacock wall clocks which will help you with kitchen decoration by giving you more ideas!